Gone are days when Facebook was one of the many sites for social networking! Now, Facebook has become more or less the monopoly of informal communication through web, and the company is now trying to equalize Facebook as a basic internet need! It was after such a big growth that Facebook decided to limit Facebook chat to the standalone app named Messenger. Earlier, it was possible to chat with your friends using the official Facebook app, on your iOS or Android device. Now, however, you need to install Facebook Messenger to bring chatting feature to your device. Well, we agree with your claim that Facebook Messenger has some features. Obviously, there are perks of being one standalone app, and there are some messaging-oriented features as well. For instance, you have enhanced support for smileys, GIFs, different kinds of media formats, etc. Along with all these, Messenger is consuming a huge amount of resources as well. Moreover, for some people, it’s good to get all the messages, notifications and the news feed in a single application, instead of toggling between two apps – or the chat heads, for that matter. Well, if you are using an iPhone, you have an option to use Facebook app for chatting. That is, you will be able to get rid of Facebook Messenger app. In other words, as we said earlier, you can bring in all the messages, notifications etc. right away. There are two options, actually, one of which needs your iPhone to be jailbroken. Open your favorite – Google Chrome, Safari or something else. You will get the same interface of Facebook official app, with messaging capabilities. You can click on the ‘Messages’ icons to view your messages and reply. You can add photos, smileys as well as stickers, but the video option and GIF won’t be available. Bookmark the site if you use Facebook on a regular basis. Well, if you plan to get rid of the resource-hungry Facebook app, this is the classy option. You can avail almost every feature offered by Facebook App. And, if you are using Chrome, you can even turn on push notifications from site. If you don’t want to miss the app, we’ve another option. From now on, you would be able to use your Facebook app with the messaging capabilities — at least the basic ones. If you have already taken the risk of Jailbreaking your phone, it is the easier method, because FBNoNeedMessenger is completely free Cydia tweak you can get. So, we’ve shown you two different methods to send Facebook messages without Messenger App. Among these two solutions, however, we prefer Facebook Touch, not only because it doesn’t require Jailbreaking but also because you can get of the RAM-eater Facebook app. Well, do you have another option? We would love to know. iPhone users will definitely take advantage of this feature. 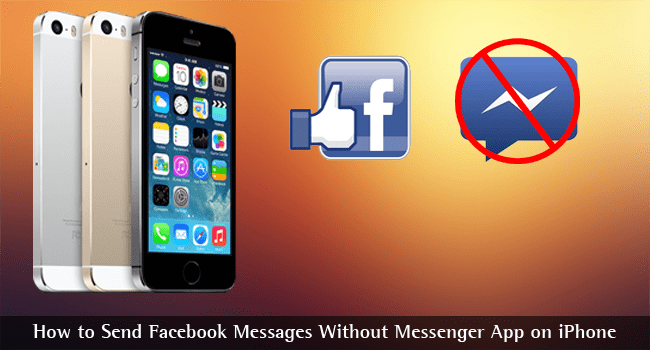 This is because iPhone users will be able to send facebook messages without using messenger. I have iOS9 version on my iPhone and till now I have not jail-broken it. 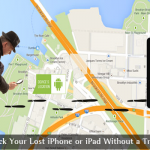 I will try this after jailbreaking my iPhone device. It is really good to use the features of messenger without even installing it.